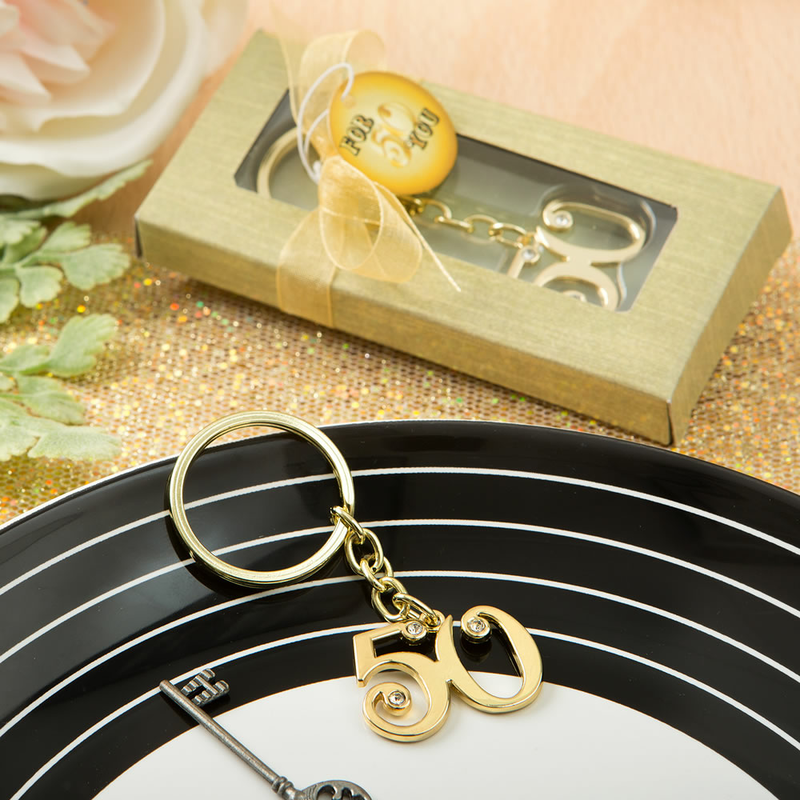 Whether you seek affordable 50th birthday favors or a lovely golden anniversary giveaway, these gold keyring favors can serve for both events! The keychain is made from all metal with an shining gold finish with a 50 charm with three rhinestone details attached to a gold metal chain and key ring. They will arrive packaged in a gold box wrapped with organza ribbon and bow. The charm is 1" x 1" and with the chain is 3" long. Very beautiful favors. I used them for a 50th graduation anniversary.